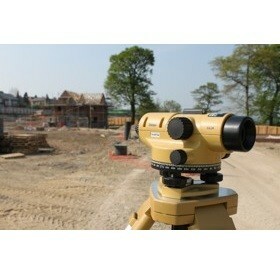 Hire fleet dumpy level features a 260 degree circle to help set out circles along with a compensator function check button. The Datum AL24 hire fleet dumpy automatic level has a 24x magnification with an accuracy of +/-2.0mm standard deviation over a double 1km run. The hire dumpy levels are the best tool for general building to more complicated engineering tasks.